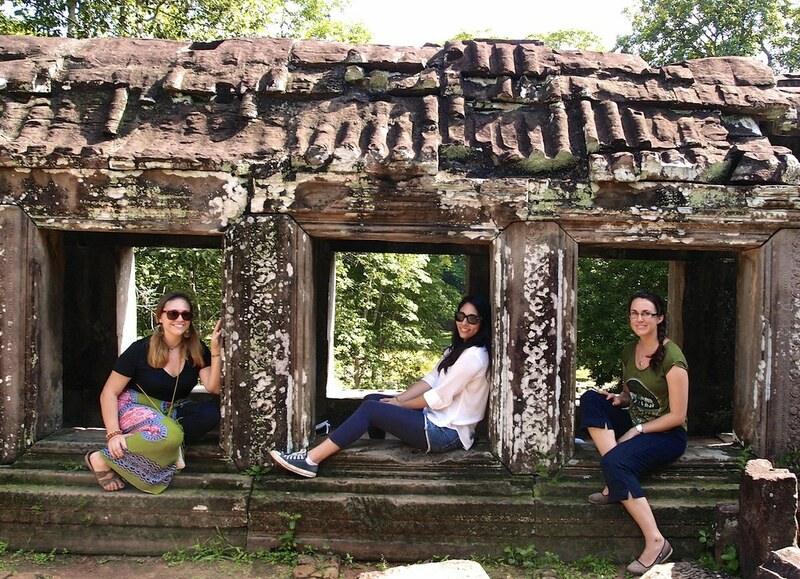 During the two-week semester break from our schools, two volunteers and I backpacked across Thailand, Cambodia and Vietnam. All of us are now back in Indonesia—ready to complete the second year of our Peace Corps service—but upon traveling extensively outside of this country together, I’ve gained a lot of perspective on just how much Peace Corps changes us. Since I chose to join Peace Corps, it’s safe to say that I enjoy learning about other cultures and exploring these places for myself through travel. But after a year of living in a community with Peace Corps, my illusion of travel has been shattered and my standards are high. It’s no longer rewarding to skim the surface of a place, knowing that there’s so much underneath that require skills to access and lifetimes to understand. Skills in language and conversation are a necessity and, more importantly, you need time. Awhile back, I wrote on a blog post that it took about 6 months of living in Indonesia before I discovered es buah—one of my favorite foods here. This makes me think about all the culinary gems I may be missing from Thailand, Cambodia or Vietnam, and this makes me sad. Time is key. You need the time in one place to experience it, forge relationships and integrate and even then, you will only get a limited perspective of one city or town and/or condition. 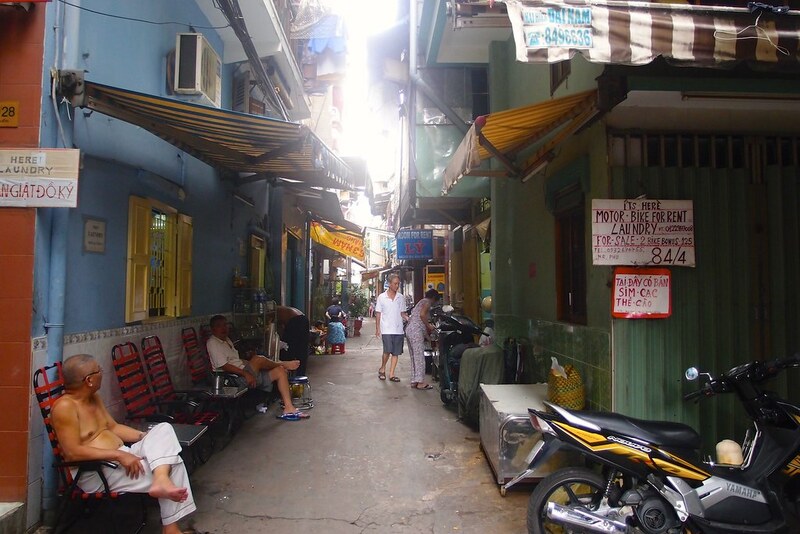 I think of all the places I visited, Ho Chi Minh City, Vietnam was where I wish I would have spent more time. This was on the street of our hostel. I just wanna hang out here with these people! Traveling through Thailand, Cambodia and Vietnam was eye opening in other ways, too. We went from having the ability to converse and actively participate in the daily lives of local Indonesians, to barely being able to say “Hello” or “Thank You” in Thai, Khmer or Vietnamese. Due to this language limitation and general lack of familiarity with the area, we had to have a lot of trust on the local people in regards to transportation and recommendations, and sometimes—like it happened to us in Thailand and Cambodia—you get taken advantage of and severely overcharged. This is the foreigner’s condition in a strange land: (often) dazed, confused and dependent on the locals that can communicate in their language and restricted to the areas where they reside. This made me feel like a tourist—and that is a word I think most PCVs dislike. We spend a significant amount of time convincing our community that we are here to live alongside them and live our lives as they do, so it was hard to be associated as a “tourist” even in this occasion. Especially because, as a PCV, I am accustomed to adjusting and tailoring to the people in my community, not having them adapt to me. 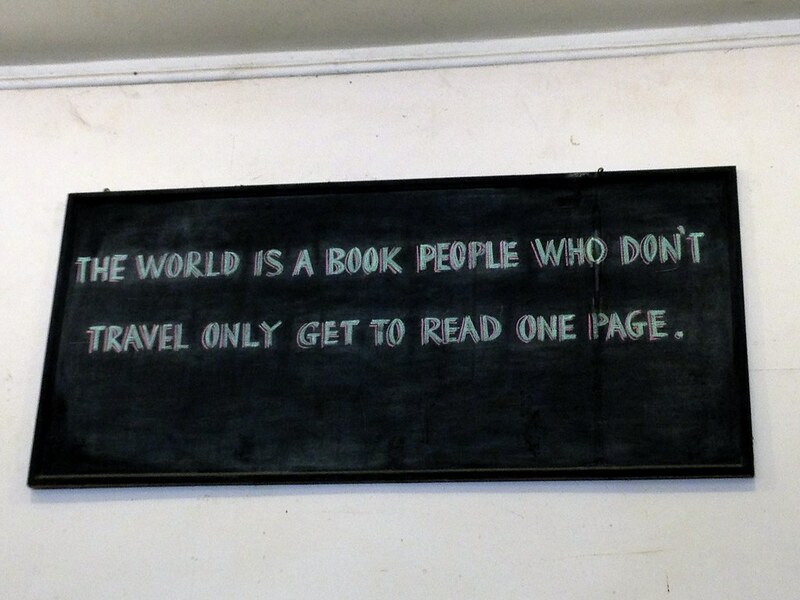 A bookstore in Cambodia appealing to its traveler customer base. 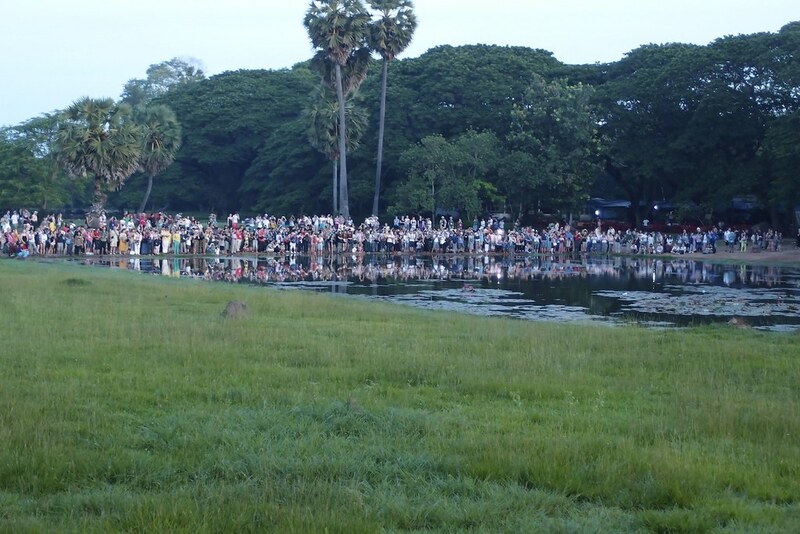 All of the tourists photographing the sunset at Angkor Wat, Cambodia. 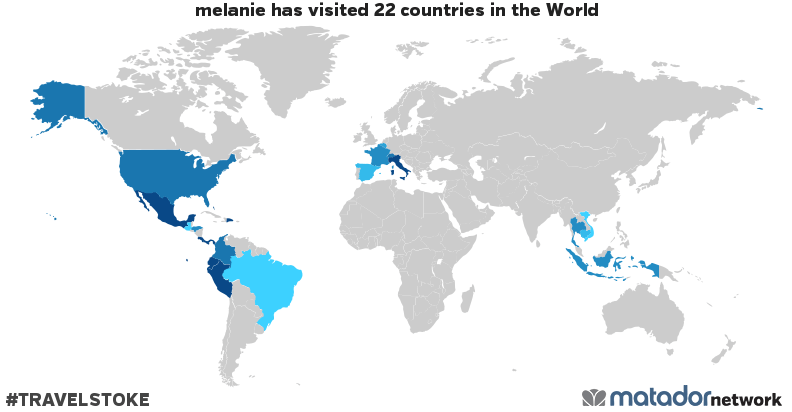 Most countries that are dependent on tourism as a staple of their economy tailor to tourists, and in doing so they construct niches within their cities or towns where all the travelers and tourists hang out. 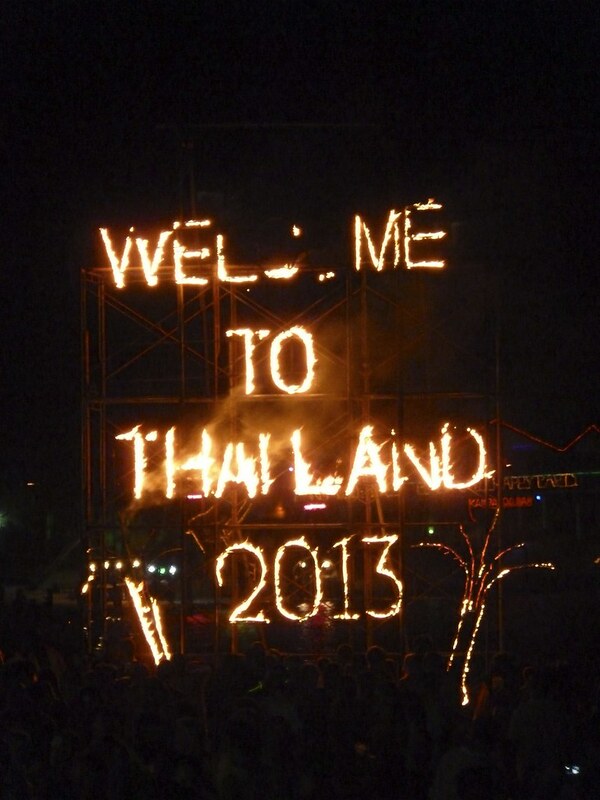 Sometimes it’s in the form of an entire event, like the Full Moon Party in Thailand. Usually, it’s a street or district. In these places, you find extensive amounts of bars and restaurants with English on their menus, with cuisines from all over the world, advertising the inexpensive drinks. Here, you find street sellers selling knick-knacks and “authentic” souvenirs. Here, you find food stands selling strange and exotic foods that charge for photos if nothing is consumed. Here, you barely see any of the local people enjoying any of the venues because the “cheap” beer isn’t necessarily cheap for them. Everyone is a foreigner here. And here, the most common exchanges are with other foreigners—which can be rewarding in its own way—but it’s not the reason why I traveled there to begin with. 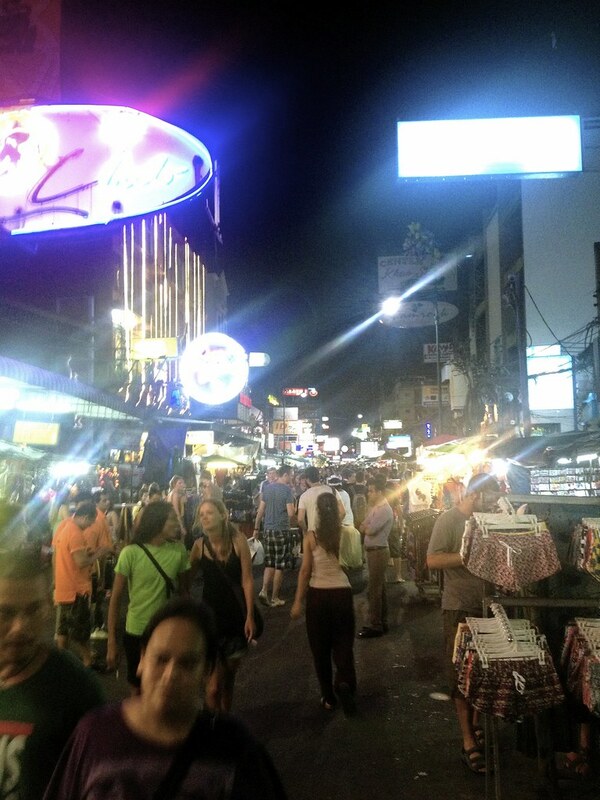 Exotic food in Khaosan Road in Bangkok. I say all this knowing full well that I participated in this “traveler’s culture” as I traveled through Southeast Asia. I got an insubstantial glimpse of a culture and a collection of pretty pictures to prove I was there. I played the part of the tourist inside the constructed niche worlds—and I was extremely aware of it and incredibly unsatisfied with it the whole time. That’s why it’s said that ignorance is bliss. I don’t mean to put down tourists or travelers. Everyone goes out seeking their own illusions and pursuing their own ideals. That’s wonderful. Props to all the people that work hard and save money to travel the world. Traveling anywhere foreign is an act of courage, since it takes a lot to leave one’s comfort zone – yet I don’t presume to know anyone’s pursuits other than my own. For me, traveling is mostly about learning. 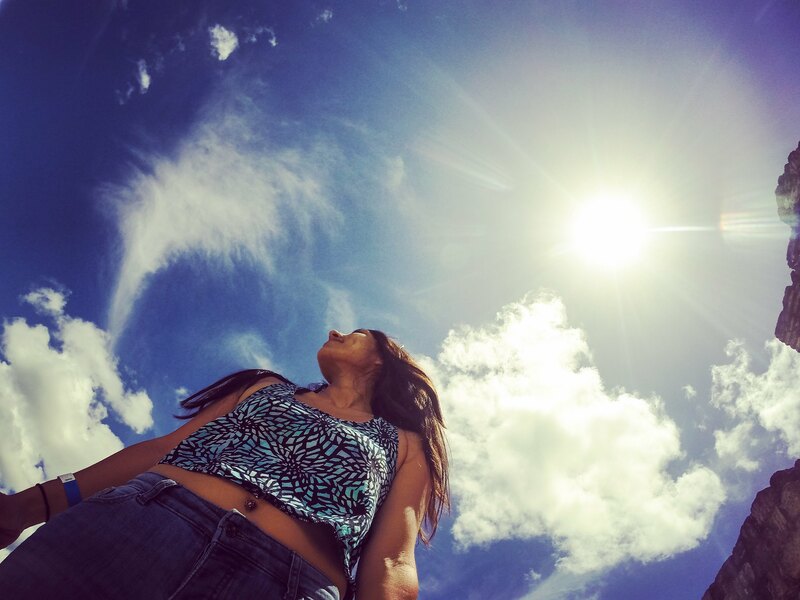 And during this trip, by being around this tourism circuit, I’ve learned that I’ve changed. Peace Corps has raised my standards for cultural exchanges and experiences, and when I recognized these rare true moments during these short travels—that’s what made my heart swell with joy— not so much the thrill of the new location. Additionally, this travel experience has brought me to the deep realization that in spite of all the challenges, I love being in Peace Corps. I now have an even greater appreciation for it and for the character of my fellow PCVs. 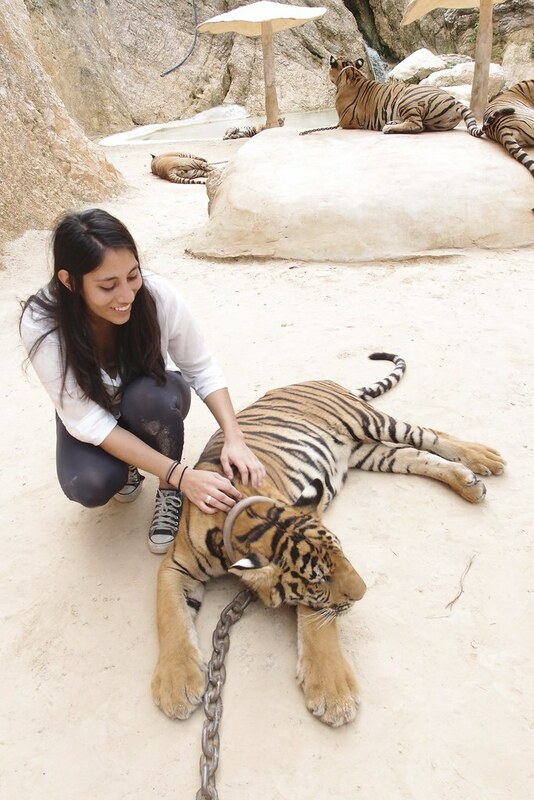 Being a huge tourist at the Tiger Temple in Bangkok. In short, Peace Corps ruined travel for me. But, since it’s unlikely that I’ll experience a place in the manner of a PCV again, I’ll have to readjust and rediscover the satisfaction of traveling once again if I want to keep doing it. And on the positive side—I’m now a better traveler. For starters, as a Peace Corps volunteer I have developed an extremely strong stomach, which results in me being unafraid to eat anything. I’m not overly worried about whether the water or ice comes from a purified source, because more likely than not, it does. I’m not fazed about some random dish (hello, grasshoppers!) 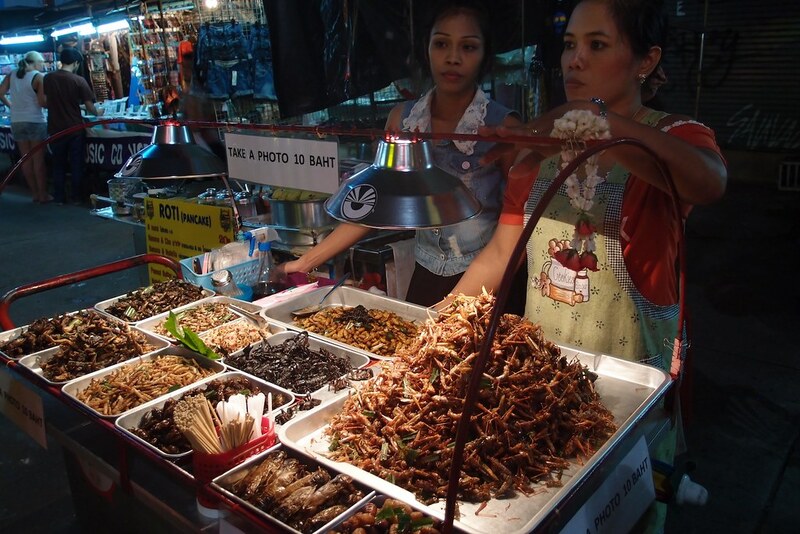 or strange ingredients in my food—including bugs, stones or hair— and thus, the entire world of street food is open to me. 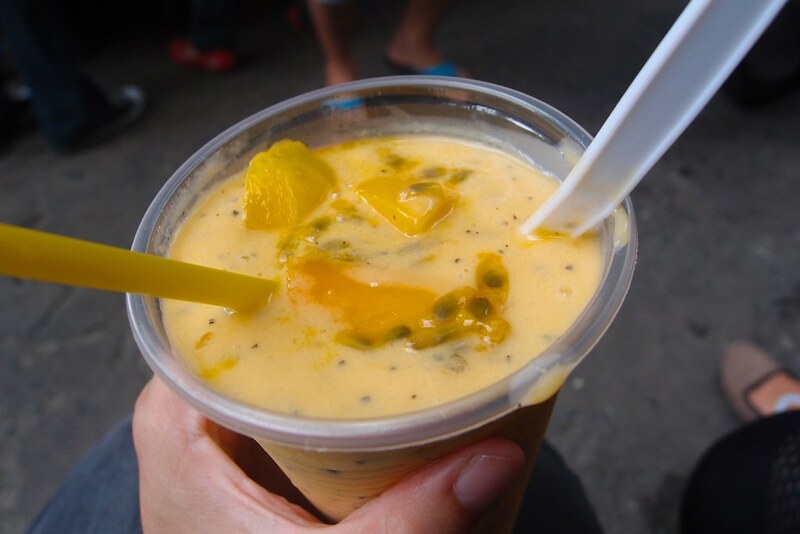 My favorite food of the whole trip – Mango/Passion Fruit Smoothies in Vietnam. 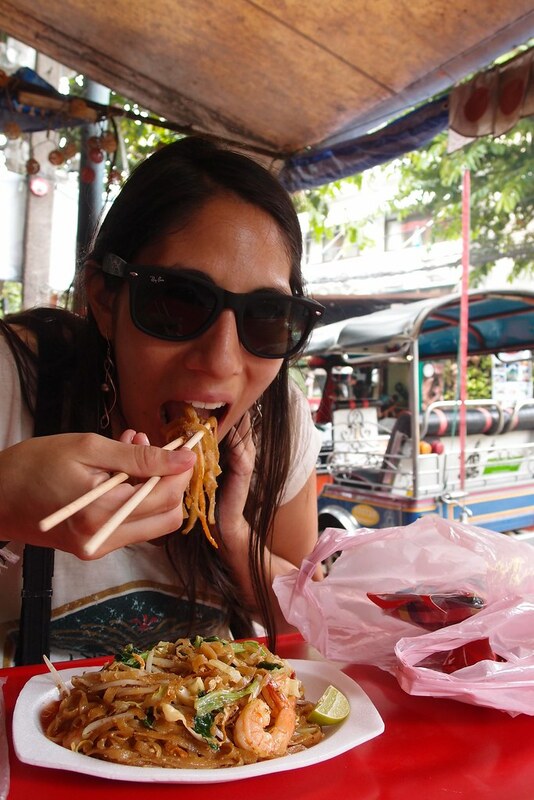 Shrimp Pad Thai in Bangkok – Street food is the BEST food. After Peace Corps, my cultural sensitivity and flexibility is higher and my patience with miscommunication is stronger. The downside to this is my extreme impatience with travelers with petty complaints and food demands. (I’m looking at you, American dude, who rejected street food and demanded a restaurant with American food from the ticket sellers in Wat Pho, Thailand.) To all: Just because you shout louder doesn’t mean you will be understood better. 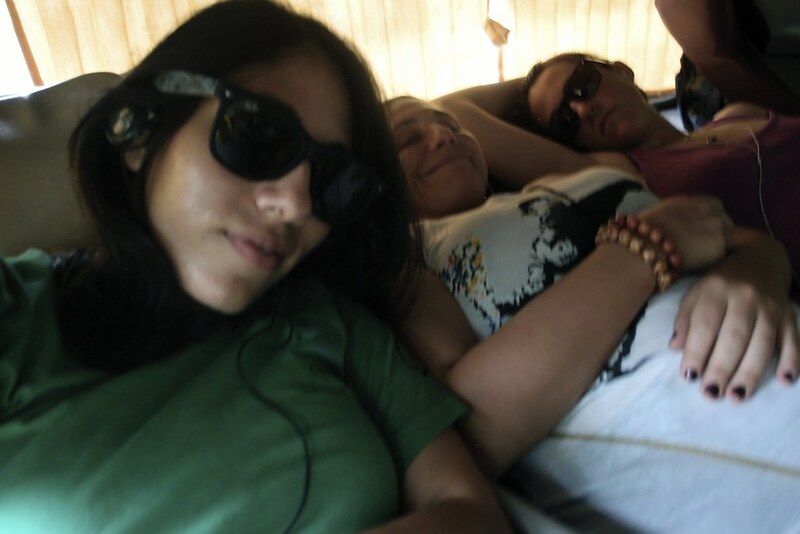 My comfort level with all sorts of people is also much higher, which is what led my PCV friends and me to sleep soundly in hammocks in our Cambodian tuk tuk driver’s friend’s bamboo hut, while taking a break from exploring Angkor Wat. And finally—a valuable skill for any traveler— after riding public transportation for more than a year in Indonesia, 15+ hours on a bus or train ain’t no thing. We must of had some good travel karma in order to get this unexpected sleeper bus for the 10+ hour drive into Vietnam. Tags: angkor wat, asia, backpacking, cambodia, chi minh city, favorite foods, full moon party, ho chi minh, ho chi minh city, peace corps, peace corps indonesia, peace corps service, peace corps volunteers, siem reap, south east asia, southeast asia, thailand, travel, vietnam. Bookmark the permalink.